What are Paiwen Stand Up Paddle Board Specs? Board Size: Length 10', Width 32", Thickness 4.5"
2 layers epoxy/fiberglass on top with another 6oz patch on the standing area. 2 layers epoxy/fiberglass on bottom. PVC high density foam reinforcements on all accessories (eg. handle, fin boxes and plugs). Extra lamination on the rails/tip & tail, vacuum sealed. 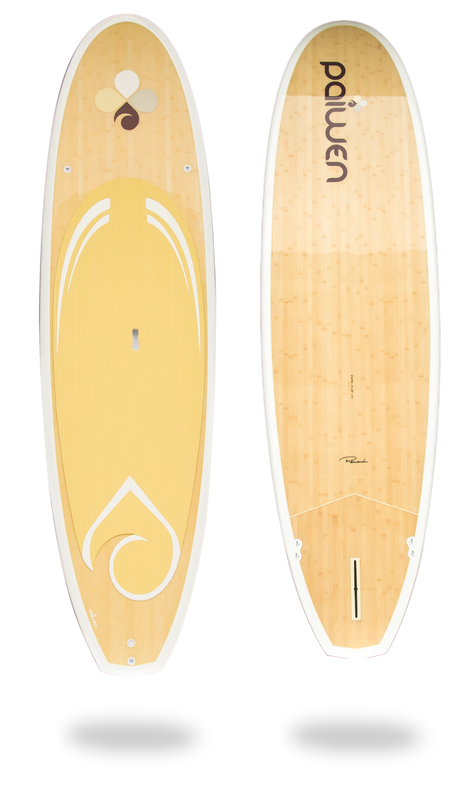 Board Size: Length 9', Width 32", Thickness 4.5"